One of the main policing teams in an organisation is the communications team. They are expected to gatekeep knowledge, speak as and for the company, oversee what others are up to and intervene, often righteously. Such behaviour is out of date, nonsensical. Here are a couple of reasons why. Most communications teams own a content management system – for the website, for the intranet, for the organisational messaging / narrative etc. Such a CMS is about control – it is the repository of The Knowledge. Meanwhile, in the real world, we live life in the feed – data flows past us, in and out of our peripheral vision, ethereal, and, once gone from sight, it dies. If it is meaningful, if there is value in it, it is brought back to life by the community through likes and commenting and bookmarking. Noone is making decisions about it, controlling it, managing it. Such a service is no longer required. Talking of which, do you still have an intranet?! This snag is from a conversation referencing Euan Semple’s lambastation of intranets – that tool mostly owned by communicators, always hated by everyone (including its owners). Meanwhile, in the real world, the internet solves ALL PROBLEMS! It effortlessly finds everything, entertains us, lets us feel in control of our own destiny of discovery. 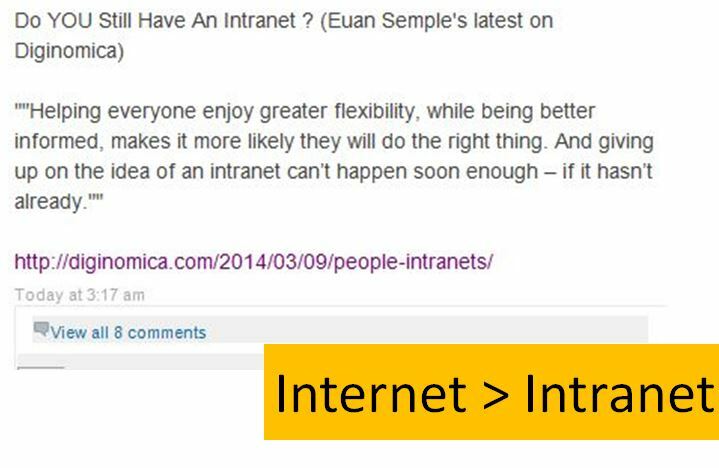 Intranets are crap – and should disappear, yesterday. 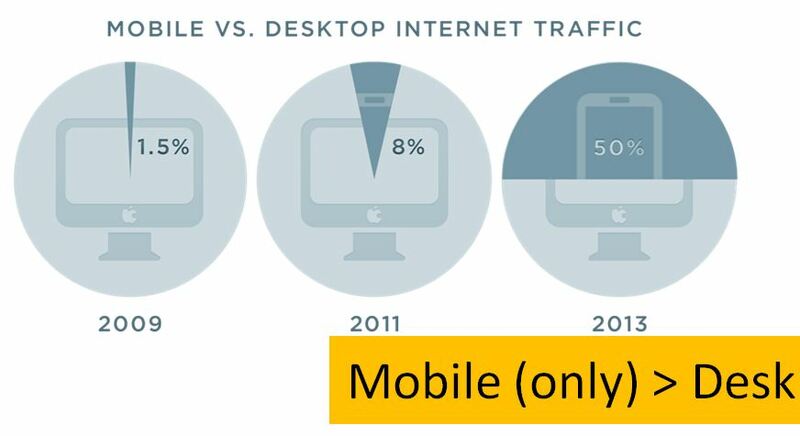 Finally, while all the execs were sitting at their desks, or maybe emailing on a blackberry, everyone else went mobile, usually first, sometimes only. Communicators carry on developing stuff for the desktop, getting sign off by execs who are not swiping anything. How many communicators work on mobile, develop for mobile, understand mobile? Data flows, and is not controllable. We need to step aside and watch it go by. Too many owners / controllers / police want to create castles for their data, data that never changes, and then they want people to form an orderly queue in front of the gates, to then gather round their exhibits. As Semple says: giving up on that idea can’t happen soon enough – if it hasn’t already.